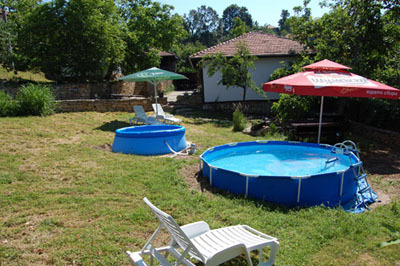 Bela Family Hotel is located in the heart of Stara Planina - in the sheltered town of Tryavna. The city has rich historical and cultural past and provides multiple options to its visitors for an interesting and entertaining stay. Guests can visit many historical and cultural attractions, walk around the mountain and enjoy the fabulous nature. Contemporary furnished with taste and style Bela Hotel offers comfort, privacy and unparalleled opportunities for recreation that will satisfy the taste of each client. Bela restaurant has 50 seats in a modern, elegant, stylish interior giving colorful impressions. You will enjoy quality service and wide variety of culinary masterpieces of the national and European cuisine, local and vegetarian dishes. 10% discount for all costumers of Bela Hotel. Enjoy the comfort of the three-star Bela Hotel, which can accommodate 55 people in 6 suits with double and single beds, 9 double rooms (double bed) with possibility for an extra bed, 1 studio and a VIP apartment with Jacuzzi. Each room is equipped with LCD with cable TV, high speed wireless internet connection, mini bar in each apartment and last but not least - unique view to the nature and the town. The Lobby bar is located in the foyer of the hotel. In refined, modern, stylish interior with well-chosen colors you can enjoy a rich menu of culinary masterpieces of national and European cuisine, local dishes and vegetarian menus, quality served and combined with the elegant design of the restaurant. On the terrace of the summer garden you could welcome the night to the accompaniment of Slaveikov’s song "Stroyna se Kalina vie ..." which could be heard from the Clock Tower - one of the symbols of Tryavna. Two houses located 2 km. from Tryavna that are ideal for a relaxing holiday in the unique beauty of Tryavna mountains. 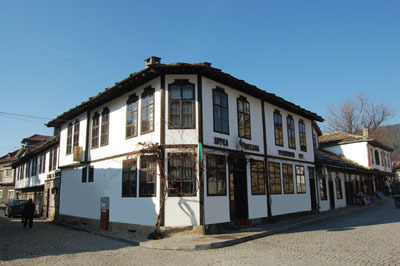 Trevnenski kat family hotel is located in the old part of Tryavna, and represents an integral part of the architectural ensemble along with the clock tower. It has a hotel, restaurant, winery and summer and winter gardens.